Hysteria has broken out across the broadsheet papers and in government – over the suggestion that asylum seekers may have been singled out by being given housing with red doors. While ministers threatened dire repercussions if “any evidence of discrimination” is found, The Times sensationally dubbed the likely coincidence a “secret apartheid policy”. The controversy centres around property company Jomast, a subcontractor for security group G4S, which holds the Home Office asylum contract for northeast England. Jomast lets hundreds of homes across the region to asylum seekers and private tenants alike, but some asylum seeker residents in Middlesborough have claimed that they are being deliberately housed in homes with red front doors to mark them out to the community as asylum seekers. Jomast and G4S have both strenuously denied that any such policy exists – G4S director John Whitwam has pointed out that fewer than 20 percent of Jomast’s properties are used for housing asylum seekers, while a company spokeman said their doors were painted many colours – but that hasn’t stopped the media and politicians alike jumping to conclusions. One former Middlesborough MP has even compared the red doors to the yellow stars which Jews were forced to wear in Nazi Germany, according to The Times. 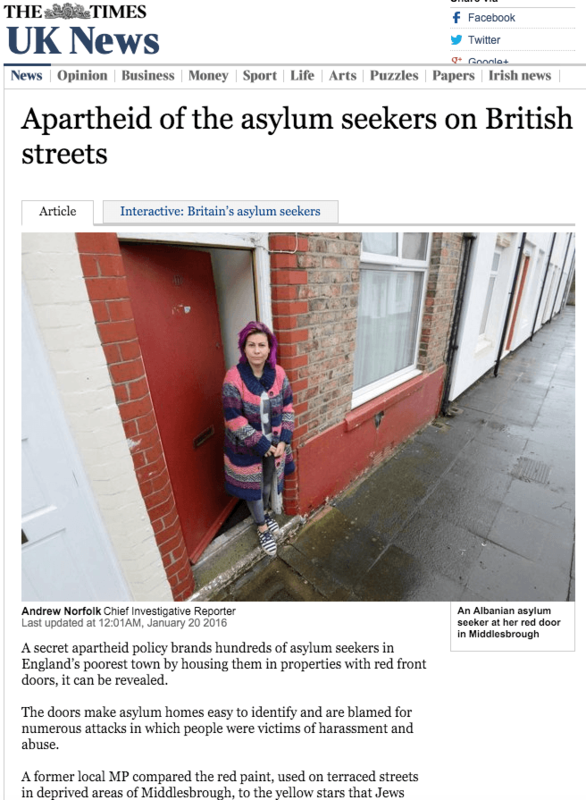 The paper itself brands the happenstance as the “Apartheid of the asylum seekers on British streets”, going on to claim that, of 168 Jomast houses in Middlesbrough, 155 had red front doors. 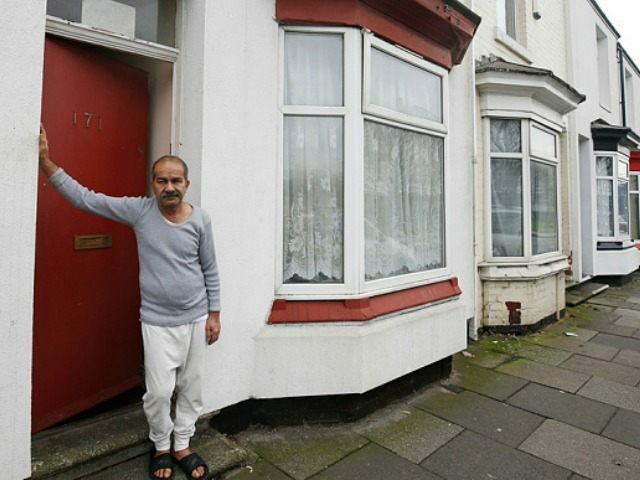 Its reporters spoke to 66 people living behind the red doors and discovered that 62 were asylum seekers, although it admitted that two were British nationals. In light of this damning evidence, Jomast admitted that “that the majority of [their] doors, for both private and asylum accommodation, are painted red.” However, G4S said that it has not received a single complaint or request to repaint a front door. Nonetheless, in the wake of the hysteria, the Home Office has ordered an urgent review into asylum seekers’ housing in the North West. Immigration minister James Brokenshire said in a statement: “I am deeply concerned by this issue and I have commissioned Home Office officials to conduct an urgent audit of asylum seeker housing in the north east. Following an emergency meeting between Jomast and G4S, the company has now agreed to repaint some of its front doors in other colours.